If you've ever suffered from acne, I'm sure you would agree that it can be a serious problem. Sure, it's not life threatening, but it can indeed be detrimental both in how we perceive ourselves and how we think others view us. Acne is also an ailment that can be difficult to treat. This review will look at a possible treatment method that we recommend to our readers and has many positive reviews online. Who Can Benefit from Using this Product? The Q That Matter...Does it Really Work? 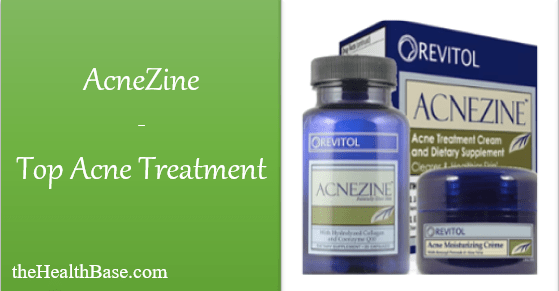 Acnezine is a product that is designed for the purpose of treating acne and improving the quality of the skin. The manufacturer claims that this product can work for all different types of acne, and it contains numerous anti-oxidant ingredients. These ingredients are said to neutralize free radicals that are responsible for damage to the skin. There are a total of 30 capsules in each bottle, and it comes with a money back guarantee. Those who are struggling with acne will definitely want to learn more about this product before making a final decision. This skincare supplement has a combination of natural ingredients that is meant to hydrate the skin as well as reduce bacteria that is directly responsible for breakouts. One of the unique things about this product is the fact that it does many different things at once. There are anti-inflammatory and antioxidant properties in this product that also play an important role in treating acne and preventing it from forming in the first place. While this product is advertised as a means of treating acne, it is a full treatment management system. Those who purchase this product will need to take once capsule per day. It is important to follow the instructions on the label of the bottle to avoid any issues. Those who do not take the appropriate amount of this supplement can actually experience worsened overall skin quality. Even those with severe acne should only take a single capsule each day. If you miss a dose, do not take twice as much the next day. There is also a cream version of this product, which should be applied once daily at first. After you have used this product for at least a week, you can begin applying it three times a day. You should use a fairly conservative amount of this cream on your face so as not to clog the pores. Both the cream and the capsules have the same ingredients in them. One of the great things about this product is that many different people can benefit from using it, including those who have blackheads, whiteheads, papules, nodules, and even cysts. While most skincare supplements only work with mild forms of acne, this one has shown promise in treating a variety of complexion problems. Even those with back acne have claimed to see noticeable results from using this product on a regular basis. There are certain people who should not use this product, including children or those who have very sensitive skin. Women who are pregnant are also advised not to use this supplement because of certain ingredients it contains. If you are currently taking any form of medication, you should consult with your physician before starting on this supplement. 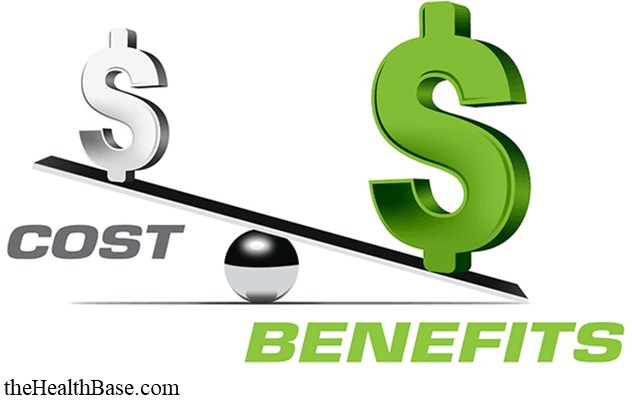 As with every health and beauty supplement or treatment, what actually goes into the product is the key to determining its effectiveness. The ingredients have to be correct both in terms of being pure and natural, as well as being in the correct volume. With regards to the product I'm discussing today, there are a number of natural ingredients that make up Acnezine. There is scientific evidence to suggest that these ingredients can be effective in the treatment of damaged skin. Collagen (250mg): This ingredient promotes skin elasticity to reduce the aging process, including wrinkles and fine lines. Hyaluronic Acid(10mg): Helps skin to retain its moisture to keep it hydrated. Proper hydration is important for long-term skin maintenance. Aloe Vera: There is a lot of scientific data to support the idea that Aloe Vera can help skin by actually regenerating certain compounds and cells for a hydrating effect. Vitamin B1: This is another vitamin that is loaded with antioxidants, and it can potentially reduce the appearance of wrinkles as well as straighten out lines on the face. Allantoin: This ingredient has a soothing effect similar to organic Aloe Vera, and it has been known to help those who scarring from acne or sun damage. It can also help with shedding dead skin cells for a healthier-looking complexion. Vitamin B6: This vitamin is absolutely essential for clear and healthy skin. Studies have shown that vitamin B6 can be especially helpful for females with relevant problems. CoQ10 (10mg): The antioxidant properties in this ingredient aid in replenishing tissue and protecting it from the harmful effects of UV sunlight. Citrus aurantium dulcis: Orange or neroli fruit extract is another ingredient, and it can also help with regenerating cells. Studies have also shown that it can limit oil production, which is one of the primary causes of acne formation. Vitamin C: It is a fact that vitamin C can help with improving one’s immune system, which in turn can help reduce the amount of bacteria that cases breakouts. It is important for everyone to get their daily dose of this vitamin. Betula alba: Birch leaf extract is an incredibly potent ingredient when it comes to the treatment of acne because of its anti-inflammatory properties. Bioperine: Also known as Piperine, this ingredient compounds the positive effects of the B-vitamins in this supplement. All of the ingredients in this product come from nature, which means that there aren’t the same risks involved with taking it that come with other products. Those who are looking for a natural skincare supplement for acne vulgaris treatment will find that this one is perfect. There are a lot of benefits associated with using this product, including reduced effects from aging and more effective hydration of the skin. This product can also potentially help with keeping annoying symptoms like itching, burning and general irritation to a minimum. The Aloe Vera in this product is especially useful for this purpose because of the soothing effect it has. All of the ingredients in this supplement are 100% natural, which cannot be said about a lot of other similar products. Those who have more serious forms of acne, including cystic acne, can particularly benefit from this product. The fact is that there aren’t many other health care supplements that can work effectively for those with severe acne. This supplement can help hydrate dry skin, which can be a real problem for certain people. If you want a clearer complexion, this product is certainly worth trying. You won’t find a whole lot of drawbacks to using this product. A small number of people have reported increased irritation from this product, but a vast majority of those who use it do not experience any issues. There is always the chance that a person who uses this skincare supplement could be allergic to one of the ingredients in it. Not everyone’s complexion will react the same way to this product, so it is important to keep that in mind. There are quite a few positive customer reviews for Acnezine on Amazon as well as the official company website. A lot of people who have purchased and used this supplement claim that it has worked very well to clear up their acne. Even some people with severe cystic acne have said that this product helped clear up their skin in a noticeable way. There are also some negative reviews if you look on Amazon. Most of the negative reviews are from people who either didn’t see any results or experienced worsening breakouts. The many before and after success stories surrounding Acnezine are very encouraging to say the least. 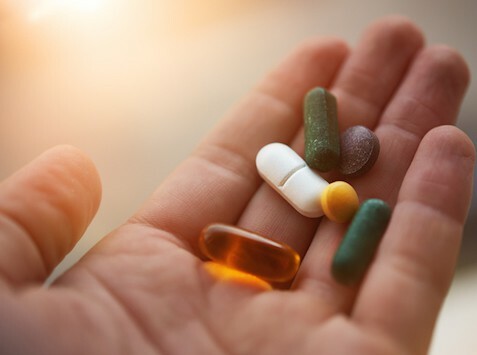 A lot of people have improved their skin by using this supplement, and it’s important that you learn about some of their experiences before making a decision. Sam from Atlanta, GA used to struggle with acne for a long time before he finally started to see results from using Acnezine. He only used this product for about a week before he began noticing his acne vulgaris disappearing. Although his problem was fairly mild, he was extremely impressed with the results he got from this product within such a short period of time. Eric from Arizona also had a great experience with this product. He struggled with stubborn cystic acne for years until he decided to try this product. Within a couple of weeks he started seeing a very noticeable improvement in his condition. He says that he hasn’t had any major breakouts since he started using this supplement, and he couldn’t be happier. Allison from Michigan says that she couldn’t be happier with the results she has seen from this treatment method. She tried to get rid of her pimply skin for over three years, and went through a long list of skincare products with no success. Finally she decided to try this supplement on the recommendation of a friend. After a few weeks she began noticing that her pimples were getting smaller and breakouts less frequent. Today she says that she hardly has to deal with these issues at all. Jeff from Texas started taking Acnezine capsules because he wanted to improve the quality of his complexion. He had become very discouraged because of numerous failed attempts to treat his acne, but says that this supplement gave him hope. While his skin issues didn’t disappear altogether, he has noticed a significant improvement. 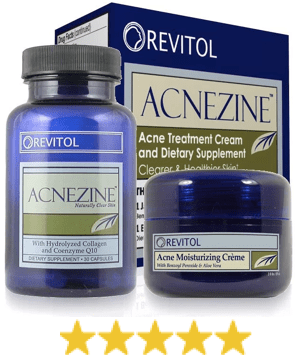 There are a lot of people who have tried Acnezine who claim that it really has worked well for them. It’s also important to consider the scientific evidence for many of the ingredients in this supplement. There have been numerous studies into B-vitamins, Aloe Vera and other ingredients in this product to suggest that they can be helpful in the treatment of acne. While this product might not work well for everyone who takes it, there is still quite a bit of data to suggest that it is highly effective as a whole. Most people who use this product on a regular basis are less likely to experience breakouts, though there acne might not go away altogether or permanently. The fact is that there is no skincare product that can work the same for everyone, but this one certainly shows quite a bit of promise. The numerous scientific studies into the ingredients that make up this product strongly suggest that it has the potential to work for many people with varying degrees and types of acne. There have been people who claim that this product had no effect on their skin whatsoever, but they seem to be in the minority. Finding the right skincare treatment for your skin problem is largely a matter of trial and error. Overall, Acnezine is a great supplement with all-natural ingredients that are designed to both help clear up and prevent acne. A lot of people have claimed that this product is very effective at treating this condition. Those who are currently looking for an effective way to clear up their complexion will find that this product is certainly worth looking into. Thank you for reading my review and please feel free to either get in touch or read some of other related content. In particular, our comprehensive guide on acne is well worth looking at - thehealthbase.com/best-acne-treatments/.